Photo Courtesy of Assemblyman Phil Goldfeder’s Office. Assemblyman Phil Goldfeder addresses the press about potential reimbursement for Sandy victims as Councilman Donovan Richards looks on. Reeling in the aftermath of Hurricane Sandy, people throughout South Queens dug into their pockets – into retirement funds, into savings for children’s college tuition, into all sorts of accounts that were never meant to be used for what they were: to replace roofs and heating systems, to rebuild basements once submerged in water, to begin to piece together unrecognizable houses and make them places that could, once again, be called home. Then, months later, there came word that, for those who dipped into accounts that now seemed dangerously close to empty, federal funding could be making its way, slowly, to them. That the tens of thousands of dollars – or more – many spent on work not covered by insurance or the Federal Emergency Management Agency may not be lost, that perhaps relief would finally be heading their way. For many in New York state, as well as New Jersey, this seems to be coming true. But, in Queens, and the other four boroughs, Mayor Bloomberg said earlier this month that he does not plan to use any of the $1.77 billion in federal hurricane aid to reimburse homeowners who already spent money on rebuilding their homes, arguing that it would open too many possibilities for fraud and that the money should go to those who have not been able to afford repairs yet. While the mayor is insistent that reimbursements not occur, a number of area legislators are pushing the federal government to squelch Bloomberg’s plan – which they are authorized to do – and ensure homeowners see at least some money come their way. 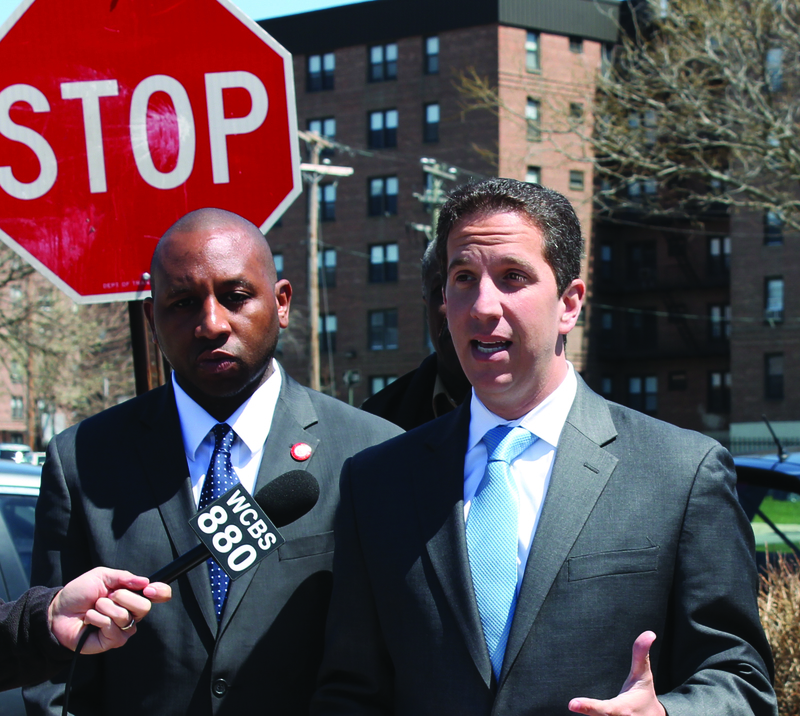 Goldfeder joined Councilman Donovan Richards (D-Laurelton) for a press conference on Sunday in Far Rockaway to urge Housing and Urban Development Secretary Shaun Donovan to use some of the $1.77 billion for reimbursement – a decision Goldfeder said the federal government could ostensibly make before it starts issuing payments around the end of May. HUD is administering the funding, though it is being allocated through the mayor’s Community Development Block Grant-Disaster Relief program. Additionally, the two legislators have sent a letter to Donovan on the matter, and U.S. Sen. Chuck Schumer (D-NY) has also reached out to the HUD secretary in an effort to secure funding for reimbursements. Goldfeder stressed that the individuals who paid out of pocket for repairs played a crucial role in the economic revitalization of South Queens – including patronizing, or reopening, businesses that had been hemorrhaging money because of the hurricane. Additionally, Goldfeder panned the mayor’s idea that a reimbursement program could be ripe for fraud. “The problem is how do you figure out whether or not it was legit?” Bloomberg said on his weekly radio program earlier this month in reference to already completed work. But Goldfeder said the mayor’s argument “doesn’t make sense. The $1.77 billion coming to the city is part of a $51 billion emergency aid package that Congress approved earlier this year, $16 billion of which is going toward Community Development Block Grants. The $1.77 billion is the first phase of those funds. According to the city’s proposal, which was submitted to the federal government after a public comment period, $720 million of the aid will go to housing programs, and $120 million is slated to fix public housing.